The IRS stood down on a controversial issue, and it’s a good thing for retirement savers. Details can be found in: Clarifying Notice 2014-54. Before I explain, let’s cover some important basics. Why do you invest? I bet you can offer a couple of decent reasons why you have money in the financial markets. Instantly accessible information has made seriously cynical consumers out of us all of us. Using our surgically connected devices, everything gets checked out. At this point, basic purchases require a forensic audit of every mention the item or service has ever had long before we are ready to commit. 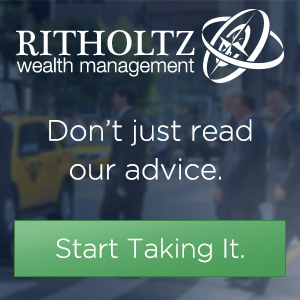 Kris is the Director of Wealth Management at Ritholtz Wealth Management. © 2019 THE CERTIFIABLE PLANNER.